Controlling your own content-rich site has never been easier. Check out the sample site by clicking on the link below. Users can submit news items for moderator approval and posting, shop online, view photo galleries...almost anything. And best of all, almost anyone can administer it! 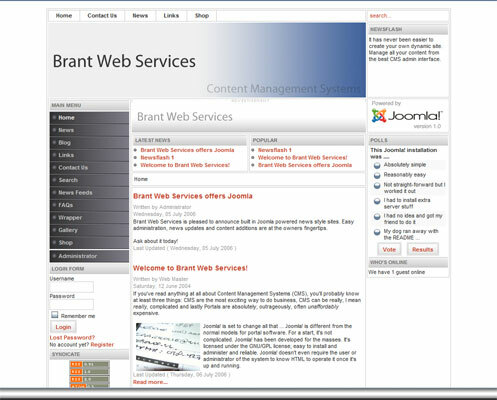 No need to get a web designer or HTML expert to add new content. Home • Design • Hosting • E-Commerce • Blogs • Galleries • Marketing • Content Managment • Contact • F.A.Q.